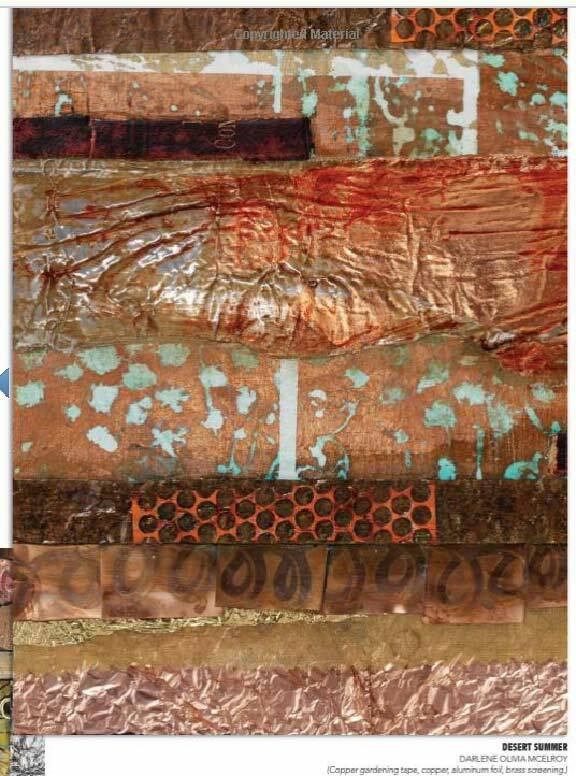 Several years ago, Darlene Olivia McElroy and Sandra Duran Wilson published a fabulous book through North Light Books called Surface Treatment Workshop. I rarely buy books since I receive so many for review purposes, but this one I did, and I am so glad for it too. And now I am even happier! 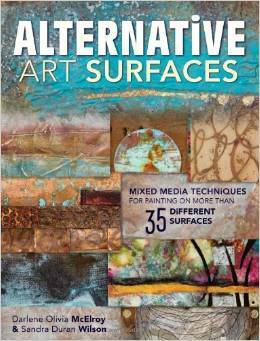 The dynamic duo has published what is to my mind a companion volume, called Alternative Art Surfaces. 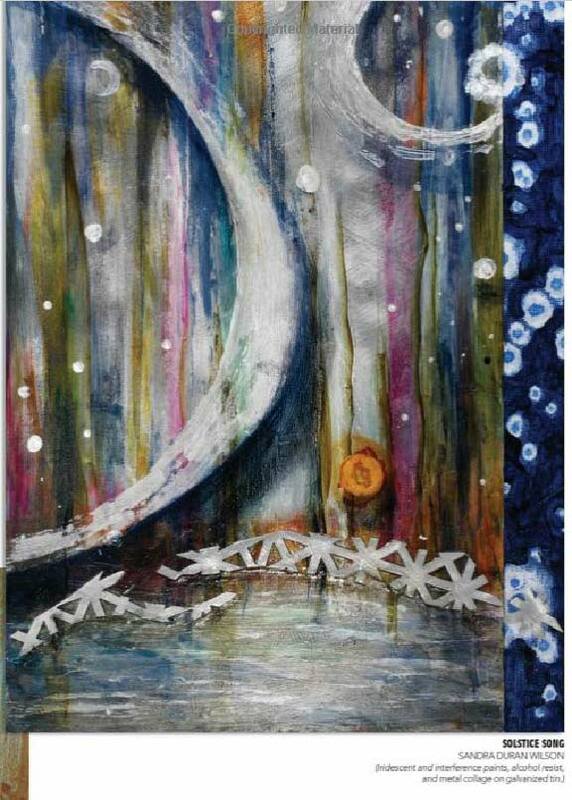 Instead of focusing on the mixed media techniques that the first volume covers, this new one looks in depth at the surfaces themselves. Oh, don't worry, there are techniques included for sure, but they are arranged according to the materials you'll be using. I don't usually give you lists of chapters, but this time it is appropriate. Darlene and Sandra will introduce you to working on metal (aluminum, tin, steel, and rust), metal leaf, metal foil and screen, mica, cast acrylic, glass (including mirrors), resin, cement (plus mortar and grout), plaster, clays, rawhide (plus suede and leather), wood, stone, foam, acrylic skins, specialty papers, fabric, synthetic fabrics, wax, and found objects. 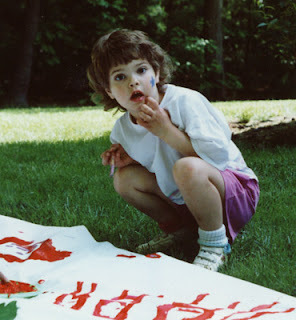 If you still can't get enough, you are welcome to visit Darlene's website, with links to her blog, Sandra has a gallery site as well. You are also supposed to be able to find additional material and demos at ArtistNetwork, but as of this writing, it does not yet seem to be available.